In the rapidly changing business landscape, harnessing the power of diversity and inclusion is essential for the very viability and sustainability of every organization. Talent who feel fully welcomed, valued, respected, and heard by their colleagues and their organizations will fuel this growth. We will only succeed in this transformation if those in leadership pivot from command and control management styles to reinvent how we look at people, every organization’s greatest asset. It’s also critical that we build systems that embrace diversity in all its forms, from identity and background to diversity of thought, style, approach, and experience, tying it directly to the bottom line. Inclusion: Diversity, the New Workplace & the Will to Change stands up and embraces what true diversity and inclusion represent to any organization in any industry-an opportunity. Open your heart and prepare to be inspired as award-winning entrepreneur, dynamic speaker, and respected diversity and inclusion expert Jennifer Brown shares proven strategies to empower members of your entire organization to utilize all of their talents and potential to drive positive organizational change and the future of work. Check out Jennifer’s book on Amazon today. 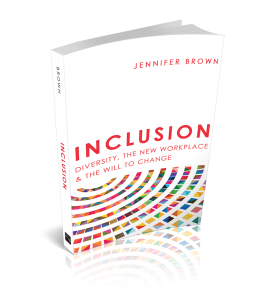 Jennifer Brown is an award-winning entrepreneur, dynamic speaker, and respected diversity and inclusion expert who believes that organizational cultures where every individual can bring his or her full self to work will succeed exponentially in a rapidly diversifying world. As founder, president, and CEO of Jennifer Brown Consulting, LLC, Jennifer has spent over a decade growing the company into a multimillion-dollar resource for C-suite leaders, HR champions, and employees at all levels, focused on the processes and systems that drive change. 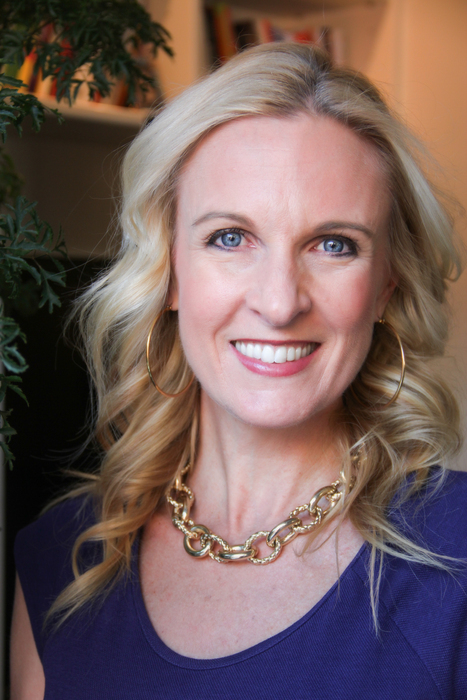 Jennifer is also a sought-after keynote speaker, panel moderator, and go-to source on the modern workplace’s changing demographics; her thought leadership focuses on specific communities of identity including women, people of color, LGBTQ individuals, and millennials, with specific attention to the role of male leaders in culture change efforts. She has appeared in leading media outlets such as The New York Times, Forbes, Inc., The Wall Street Journal, and on Fox News, WCBS, and more. In the past several years, she has been named Social Entrepreneur of the Year by the NYC National Association of Women Business Owners (NAWBO), one of the Top 40 Outstanding Women by Stonewall Community Foundation, and NYC Controller Bill Thompson’s LGBT Business Owner of the Year. Brown has appeared in leading media outlets such as The New York Times, Forbes, and The Wall Street Journal, and on Fox News. In the past several years she has been named Social Entrepreneur of the Year by the NYC National Association of Women Business Owners (NAWBO), a finalist for the Wells Fargo Business Owner of the Year Award, a finalist for Ernst & Young’s Winning Women Program, one of the Top 40 Outstanding Women by Stonewall Community Foundation, and NYC Controller Bill Thompson’s LGBT Business Owner of the Year Brown’s book “Inclusion: Diversity, the New Workplace & the Will to Change will inspire leadership to embrace the opportunity that diversity represents and empower advocates at all levels to find their voice and be a driving force in creating more enlightened organizations that resonate in a fast-changing world. Visit http://jenniferbrownspeaks.com/ for more information!